Dodge Dakota is likely the most successful mid-size pickup that Chrysler has produced. Competing automakers like Ford and Chevrolet made a name for selling mid-size pickups but lacked the power of a V8. Dodge not only gave V8 power but it used the Powertech V6 too. This engine is the same one that put the Grand Cherokee into the history books as Chrysler’s best-selling motor. You will find rebuilt Dodge Dakota 3.7L engines for sale at prices that are affordable for anyone. We don’t raise our prices just because the rest of the world does. Satisfaction from customers is always our priority here at www.rebuiltengines.co. The Dakota had a production life of over 25 years. This is almost an eternity in the pickup truck world. There are literally one or two trucks on a long list that have been produced that has reached this milestone. It is the financial support of Chrysler that has put Dodge into a class of its own. There is no real competition in the mid-size market. Buying a replacement engine should not appear to come with difficulty. The engine inventory that is built by our team is definitely second to none. Our rebuilders have already went through Dodge training programs. We know how to get the job done. There were 2 generations of the 3.7L engine. This SOHC engine first started out in the Ram series of Dodge. It quickly became apparent to Chrysler that it would also fair well in the long lived Dakota. This is where the 3.7L stayed until the termination of the Dakota as a single pickup truck. The engineers and designers of the 3.7L knew exactly what they were doing. We follow the same steps when constructing a rebuild. The same schematics that OEM builders from Dodge have are what we use for a rebuild. The engines are received, evaluated and taken apart by our trained team. We watch every part of the process and make detailed notes. We are perfectionists at heart and it is on display in what we build. We know that a buyer has to be careful when buying something from the Internet. A simple reprint of factory specs and a stock photo does nothing if you don’t know what you’re really getting into. We do a good job of explaining the engines we build. We tell you about the history, how much experience we have and what you will get when you open the crate. All OEM parts are what you will find used and nothing is aftermarket. 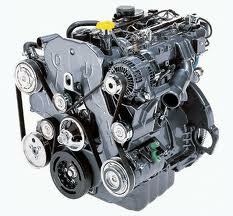 Make no mistake that we are offering complete engines. These are not rebuilt or custom bored blocks. It is technology that we make a lot of use of in our engine shop. Just like we upgrade machinery we use, we upgrade our web technologies too. The quote form here is what our quotes are delivered with. Try to use it now. You’ll never wait for a phone or email quote again. If you want a phone quote, all you have to do is call us at 1-(336) 355-5679. We’ll simplify the Dodge engine buying process for you.